Alumni entrepreneurs at Speakeasy Co. deliver everything you need to prepare and enjoy a craft cocktail — including their signature Old Gold and Black — right to your door. In an age when almost anything is a click away, leave it to entrepreneurial Wake Forest grads to deliver the goods that will make your at-home happy hour even happier. 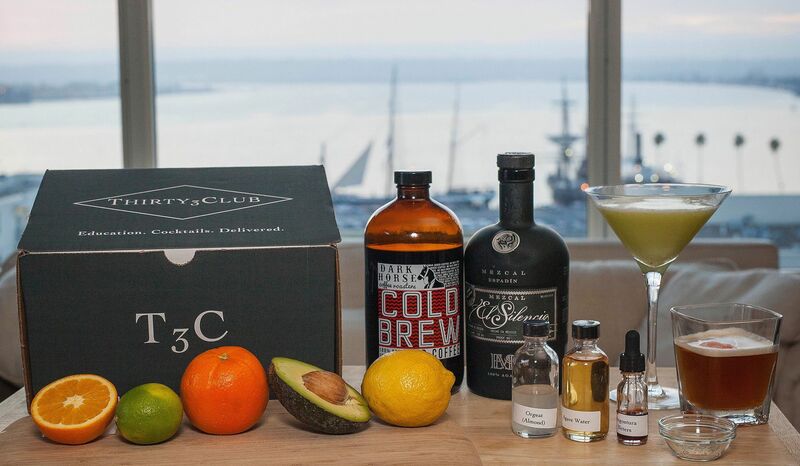 Speakeasy Co. is a newly renamed subscription-based venture that boxes up everything needed to make perfect craft cocktails (such as the Old Gold and Black, recipe below) — the spirits, the recipes, the stories behind the drinks — and delivers it once a month to your personal pub. Speakeasy Co., formerly Thirty3Club, is a 'single hub' for all things cocktail. Jacobs, who works in big data for ID Analytics, said the idea for Speakeasy Co. came to him in the wee hours of wakefulness and stemmed from two successful startups he and his colleagues admired: Blue Apron and Birchbox. “We love the experience of discovering tasty recipes, learning new cooking techniques and creating something ourselves from the Blue Apron meal kit boxes. 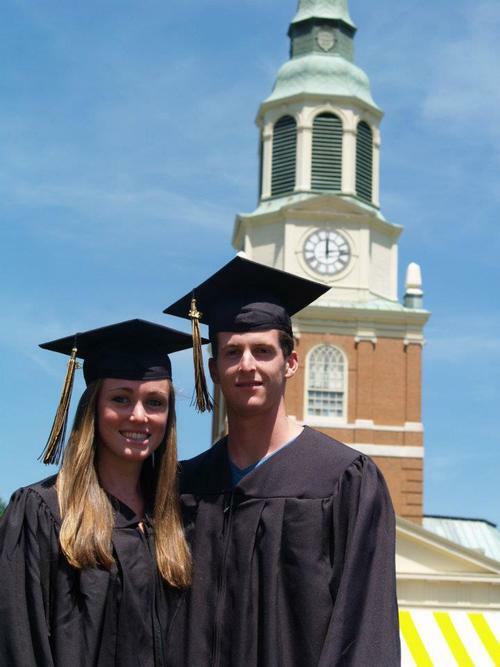 Josh Jacobs ('12): We love the experience of discovering tasty recipes. 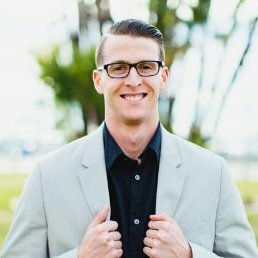 Speakeasy Co.’s team has backgrounds in advertising, engineering, sales and data science, not the craft cocktail industry, said Jacobs. As a result they are constantly crafting the experience for like-minded customers. Monthly subscribers receive a box with two recipes, step-by-step directions, all the ingredients required to mix four drinks at home, recommendations on how to serve, plus links to instructional videos. A recent box, for example, contained orange, lime, lemon, avocado, cold-brewed coffee, Mezcal, agave water, orgeat (a cooling drink made from orangeflower water and either barley or almonds)— and angostura bitters. The signature Old Gold and Black cocktail created by Speakeasy Co. The first, unofficial, signature Wake Forest cocktail created by Speakeasy Co., is the “Old Gold and Black,” a twist on the Gold Rush topped with black walnut bitters. The Gold Rush is a modern cousin of the Bee’s Knees, except with whiskey, said Jacobs. The Bee’s Knees, slang for “the extraordinary” or best, is a prohibition-era cocktail with gin, lemon, and honey. 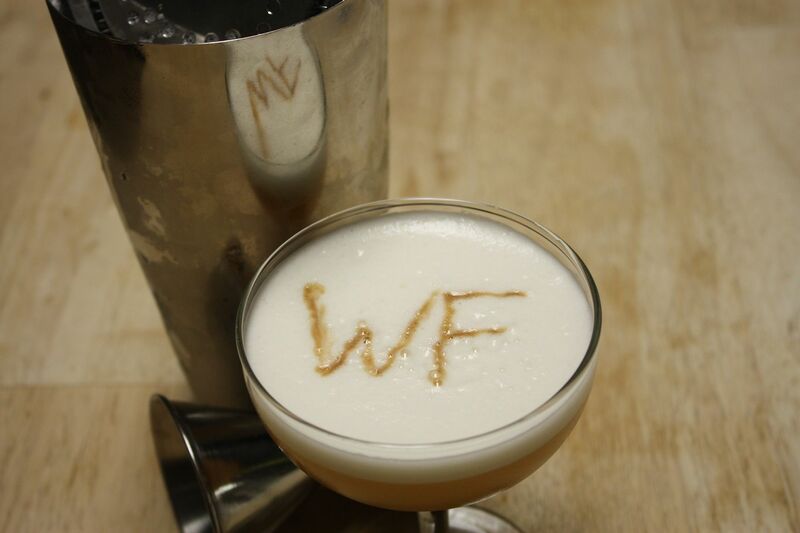 Speakeasy Co. adds egg white to enhance the texture and create froth as a canvas upon which to drizzle the black walnut bitters in the shape of a “WF”. 1. Crack an egg and strain the egg white into your mixing glass. 2. Place your Boston shaker on top of the mixing glass and give it a firm tap (don’t forget to test if it is sealed.) Proceed to dry shake (no ice) for 10 seconds. 3. Separate the shaker and mixing glass by applying a firm tap to the tin, at the point where the glass and tin are slightly separated. 4. Fill the mixing glass with ice and, using the jigger to measure, add the following, pouring the whiskey last: 1 oz. honey syrup, 1/2 oz. lemon juice and 1 1/2 oz. whiskey. 5. Place your Boston shaker tin on top of the mixing glass and give the end a firm tap. Shake vigorously for 10-15 seconds, allowing the mixture to go from one end of the shaker to the other. 6. Separate the shaker and mixing glass, then strain the cocktail into your coupe glass. 7. Drizzle black walnut bitters on top of the cocktail in the shape of a “WF”.